Hellyeah DUDE!!! Municipal Waste are playing The Lookout Lounge in Omaha. Local bands TBA. | Badass Concert | Heavy Metal Music News | So METAL, we piss RUST! Hellyeah DUDE!!! Municipal Waste are playing The Lookout Lounge in Omaha. Local bands TBA. The Lookout Lounge in Omaha is celebrating its 3rd year anniversary with the best way possible. What’s that you say? “They booked Municipal Waste for their party?”… you damn right. 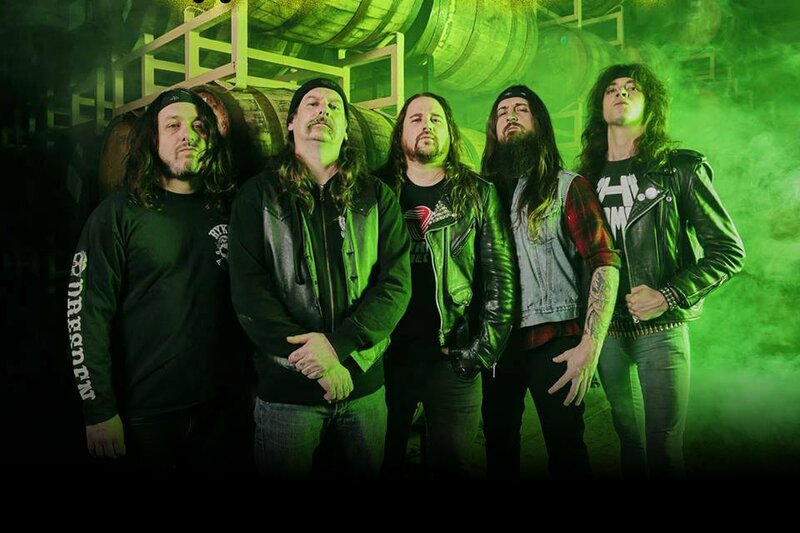 Municipal Waste will be performing live in Omaha, Saturday, March 3rd, 2018. If you have not listened to the band’s latest release you’re missing out, “Slime and Punishment” is one of the best modern thrash metal records ever. Municipal Waste puts on one hell of a fun show and The Lookout Lounge is a small club with a huge P.A. system, so your face is going to melt! I saw Municipal Waste last year at the Bonner Springs, KS, stop of Van’s Warped Tour. Yeah, yeah… before you trash Warped, it was my first year and did I mention Hatebreed was there along with Carnifax, Sick Of It All, GWAR, The Acacia Strain, and more. The show was pretty damn heavy and Municipal Waste dominated the stage. I sure hope I can make it to this gig, the old concert funds are going to be strapped with the Hatebreed and Crowbar show just around the corner at Sokol, but it’s income tax time and I’m sure hoping for a big old fat refund haha. You know how it’s, first world problems bro. Looks like this show is also brought to you by Black Heart Booking, big thanks to Mr. Lucus Wright for booking some most excellent shows. So there you have it, Municipal Waste playing a small venue is something you do not want to miss. Check your funds, mark your calendars, book your hotels, breathe some grease, bring your beer pressure, because you’re born to party. Your day just got a hell of a lot better! Here is a link to the official Facebook event and some Municipal Waste to blow your eardrums out of your skull with. Previous articleMiles Margritz benefit show featuring Empires End, Rift, Slantpiece, and more. Live from Gillies Bar! Next articleViolent Death Equipment are releasing their ear splitting self-titled death metal record.